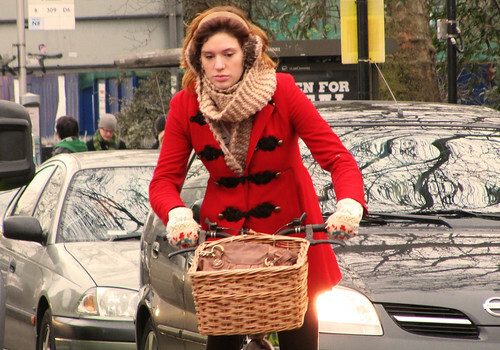 I think this must be the best 'cycle chic' style photo I have taken so far with my new camera - I love how stylish her red coat looks against the anonymous sheen of the windscreens behind her. 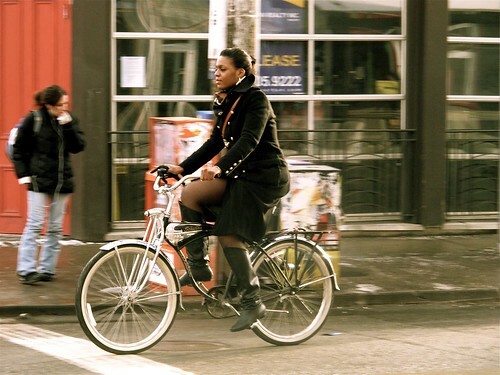 It was the Schwinn that caught my eye, but is she riding cross legged? Apresentando a novo coleção Primavera-Verão 2010 - I Scream - Everybody scream for Ice Cream. Lorena beatriz com Shorts listrado + Camiseta Banana Split + Casquete flores amerelas e brancas. 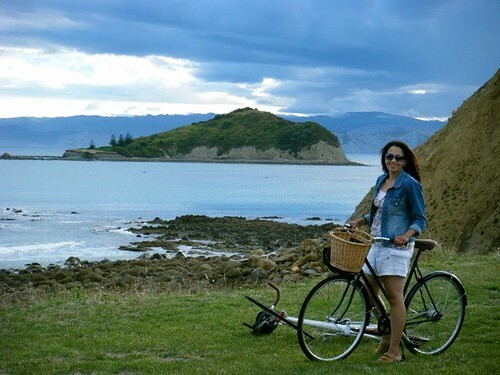 Sunday afternoon in New Zealand with my Lady Jane. Santiago, capital de la bicicleta en latinoamérica. Lovely mix. I want to cycle all these places! Thanks for using my pic. Wow, this post is like a little beautiful tour of the world by bike. 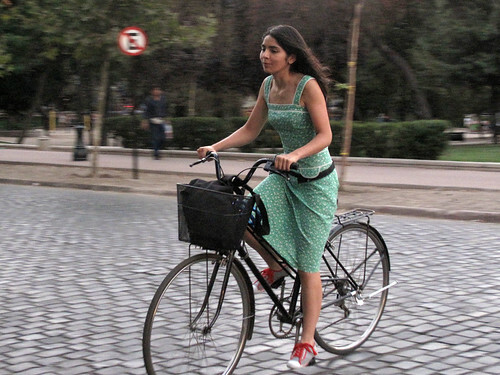 Great pictures, stylish people, livable streets - let's hope this is the future! @Mark, thanks for sharing your pic. I share your hope that this is the future of the world!